Truly stand out on your wedding day wearing this strapless trumpet gown. 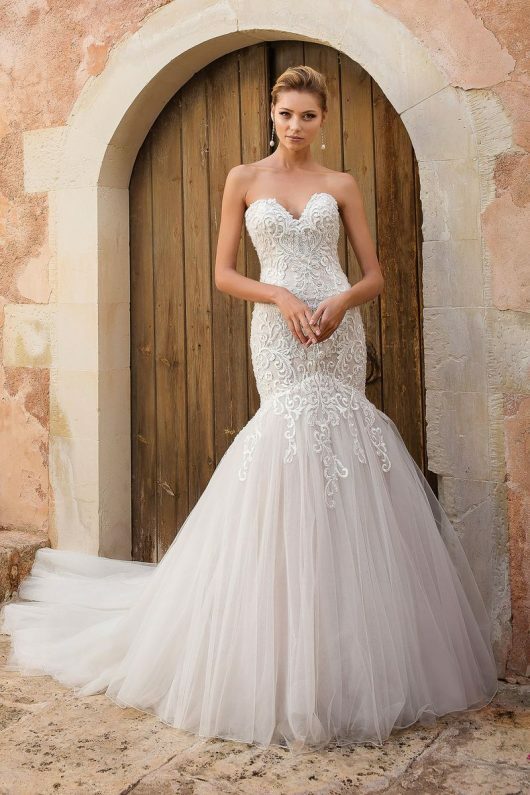 It features an underlay of chantilly lace and beaded appliques that trickle into a clean tulle skirt. This figure flattering gown will make your significant other’s jaw drop as you walk down the aisle.